We play across the whole country! EKG Music Band is a full professional cover band from Bochnia (in the vicinity of Krakow, Lesser Poland Voivodeship). The band was formed in 2008. Our group is composed of professional musicians having vast experience in music industry. The basis of our performances is cover music performed by five musicians. 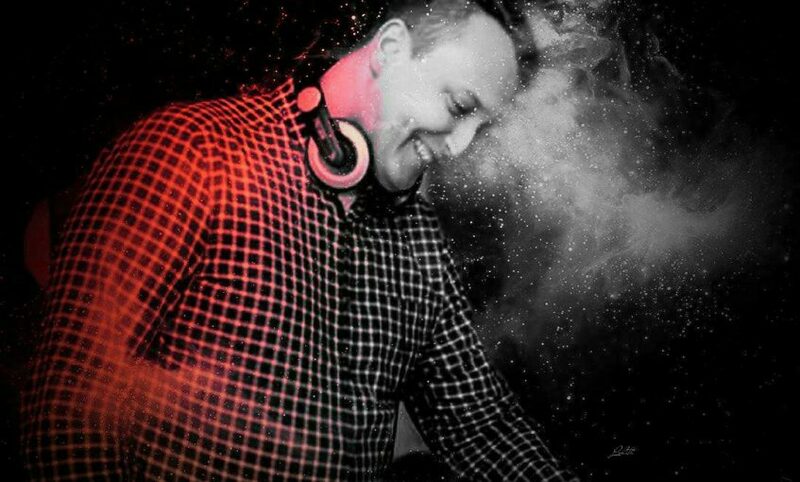 For those who are fond of more varied and expanded sounds we have prepared an exclusive and unique offer of cooperation with professional DJ and brass section (expanded lineup). Thanks to our commitment and perfection, we are able to fulfill even the most demanding expectations of clients! 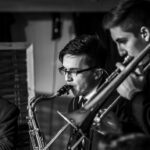 A business party, a concert, an occasional party, a wedding, or an event - as a result of our musical abilities and a solid technique, we are full competent to provide any music service! We are borderless! Krakow, Warsaw, Gdansk – we can go everywhere you like. Our repertoire represents a wide range of cover music – rock, rock'n'roll, pop, blues, dance, disco music styles, and all kinds of popular music hits, both new and old songs, Polish and foreign hits as well. Musical entertainment presented at it's highest level and 100% live! A major asset that distinguishes us from other bands is our musical flexibility on that account the music performance program may be composed of songs of various musical styles or it can be entirely devoted to one particular style – even the most demanding repertoire is performed with great attention to maintain the original sound of songs. It is possible due to both musical skills and a long-term stage experience as well as a professional PA equipment that allows us to make every event an unforgettable audiovisual show! Are you a Wedding Planner? Or are you looking for a perfect band for your own wedding? You are welcome to get acquainted with our wedding receptions offer! Are you a Business Representative looking for a musical entertainment for a business party? Or maybe you want to book us to play a concert? If yes, it means this offer is for you! We provide a musical entertainment for a wide range of dance and occasional events organized by both individual clients and companies as well as public institutions. EKG Music Band is the best choice not only for a business event but also a concert, an occasional dance, a cultural event and other type of events accompanied by live music. EKG Music Band is composed of professional musicians having a long-term experience in the media and music industry (i.a. Must Be The Music, Mam Talent, The Voice of Poland, Kawa czy Herbata, Dzień Dobry TVN), performing in Poland and abroad, cooperating with the greatest music icons. Standard band's lineup consists of 5 musiacians. Is it not enough for you? We can expand our band to 8 members! For those who are fond of more varied arrangements we have prepared an offer of cooperation with brass section. We have a solution to 'a band or DJ?' dilemma! You can have both, a band and a DJ – no additional cost! CLICK TO FIND ANSWERS TO THE MOST FREQUENTLY ASKED QUESTIONS.